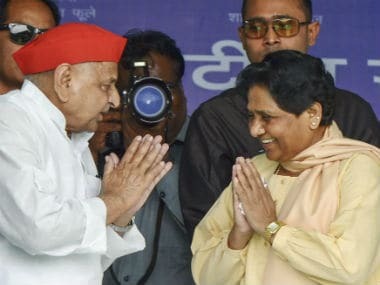 The Samajwadi Party-Bahujan Samaj Party alliance is something which proves right the age-old proverb about there being no permanent friends or enemies in politics. 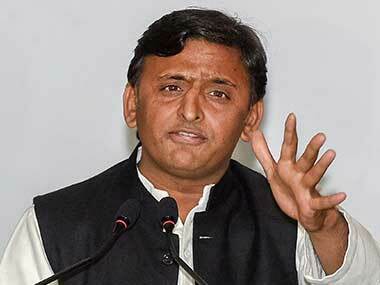 The alliance, at least on paper, looks formidable and could give the BJP tough competition in Uttar Pradesh. However, if we look at the micro picture, things are not as rosy as the macro summation of the vote share indicates. To start with, both the SP and BSP are strong players in state politics, which means that there is a strong presence of both the parties on literally every seat in the state. This makes this alliance different from the Congress-JD(S) tie-up in Karnataka, where the JD(S) has a relatively patchy presence within the state. This means that summing up vote shares at a macro level becomes easy, because there is only one party which is more winnable than the other one at a particular seat. This is not the case with Uttar Pradesh, where both the alliance partners are equally strong on almost every seat. The above scenario poses a two-fold challenge for the alliance. One is for the voter, who has traditionally been a supporter of one of the two parties in political opposition to the other one, who will now face a tough choice to vote for the political opponent simply because its traditional party is not contesting the seat anymore. For the alliance, the risk is that this will transform the traditional voter into a floating voter, who can then be leveraged by the BJP. The other challenge for the alliance is ticket distribution. The fact that both the alliance partners are equally strong poses a very distressing task for both of them. This would mean a disenchanted strong leader from the alliance on every seat, who would sincerely believe that he or she was the most winnable one and has been unjustly denied the ticket simply because the party supremo decided to give away the seat to the alliance partner. In such a scenario, it is not uncommon for such disenchanted candidates to sabotage the campaigns of their respective bosses. The current leadership of the BJP, on the other hand, has been known to beat anti-incumbency at the micro level by changing even winning candidates in each election. The BJP is also not shy of luring in strong candidates from the opponents into its fold within no time. 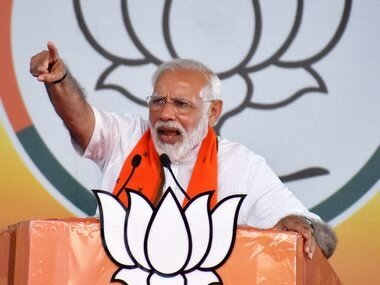 The same is evidenced by the track record of the BJP in Uttar Pradesh itself, where strong leaders from the BSP and SP like Swami Prasad Maurya and Naresh Agarwal respectively were brought in the party. The model of both the BSP and SP is also something which can be problematic at the micro level. Since both the parties are headed by a leader or a dynasty, as opposed to the BJP which is more organisation and cadre-based, the individual candidates are known to be in direct touch with either Mayawati or Akhilesh Yadav respectively. In the BJP’s case, however, it is not necessary that the individual candidates at each seat would be known to either Amit Shah or Narendra Modi; the organisation takes care of these aspects in most cases. The BJP is presently short of strong leaders, and candidates bank on the party and the central leadership for their electoral fortunes. 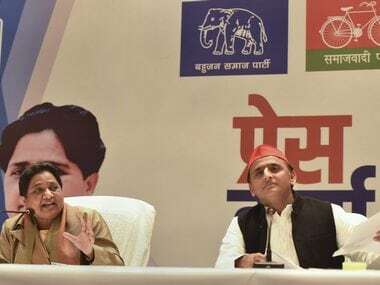 Therefore, the disenchantment of such ticket aspirants in the SP and BSP is sure to be a personal issue for both Mayawati and Akhilesh Yadav, which would create stress for the alliance itself. This alliance has a precedent in the Assembly election of 1993. The worrying signal for the alliance from the 1993 verdict is the vote share. At the time, the alliance had got one seat less than the BJP, and had a substantial vote percentage difference of 4 percent. As has been the course of electoral history of the country, a 4 percent vote share difference, combined with effective strategy, can totally decimate the Opposition. In addition to this, the BJP was not as strong in 1993 as it is now in the state. In 2014, the party was the first to breach the 40 percent vote share in the state since 1989, and almost clocked the same in 2017. If it repeats such a performance, it might be able to create serious problems for the alliance. The non-inclusion of the Congress in the alliance will definitely be in the interest of the BJP, as the Congress may garner a significant proportion of the anti-BJP votes and eat up the vote share of the alliance. This may be critical and decisive in a closely fought contest. However, the most major impediment to the future of the alliance is Mayawati herself. She has proved herself to be the most unreliable and fickle-minded coalition partner in the electoral history of the state. The BSP has been in alliance with several major parties at some point in time and has also pulled the plug on the alliances every time. 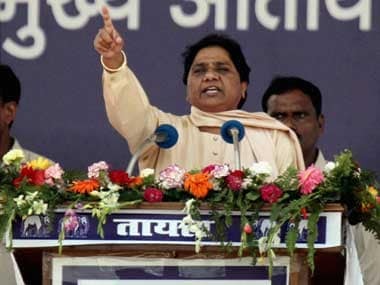 It shouldn’t be a surprise to anyone if history repeats itself, and Mayawati randomly walks out of the alliance at the first better political opportunity.